Surgery is not always the solution, but for orthopedic injuries in many cases, it can be. Undergoing a surgery or medical procedure, especially if it is your first time, can spark an overwhelming range of emotions including fear or worry. This is not the time to be afraid to ask questions. Once you and your doctor decide that the benefits of orthopedic surgery outweigh the potential risks, you will need to learn what to expect from the surgery and work with your doctor to create a treatment plan for the best results afterward. The best way to do that is to ask questions and make sure you truly understand the responses and instructions being given to you. This may include questions about the recovery time, potential driving restrictions or other activities you need to stay away from or whether there are any medications you should stop taking before surgery. Throughout the process of determining whether surgery is the best option for you, your physician will conduct a thorough physical examination and ask you a multitude of questions about your injury, past medical history, current lifestyle and more. To set yourself and your orthopedic surgeon up for success, answer these questions honestly. Disclose any medications you are currently taking or allergies that you have, share any concerns you have about taking pain medications and don’t downplay or lie about any current habits such as smoking, alcohol consumption, drug use, etc. Contact your insurance provider if you have any questions or concerns about your coverage and patient responsibility. Is your provider considered in-network or out-of-network? What about the hospital or outpatient clinic where your surgery will be performed? Is pre-authorization required for your claim? What is your coverage regarding inpatient or outpatient rehabilitation or physical therapy? The last thing you want is to be caught off guard by unexpected costs. Depending on the type of surgery, you may need someone to take you home from your surgery or procedure. You may also want to consider having someone help you out with everyday tasks such as grocery shopping, cooking, and household chores like laundry or cleaning. You’ll be glad to have this set-up before your surgery so that afterward you can focus on your recovery. You may have been advised to lose weight before surgery to help decrease the stress placed on your new joint, stop or cut down on smoking to reduce surgery risks and improve your recovery or stop taking certain medications (prescription or over-the-counter) for a specific number of days before your surgery. It is important for you to follow all the pre-op instructions. This also includes guidelines for eating/drinking in the 24 hours before your surgery. In the weeks leading up to your surgery, it will become increasingly important for you to eat a healthy, balanced diet and get enough sleep. Surgery puts stress on the body, and the stronger you are both physically and mentally, the better your body will be equipped to handle it. 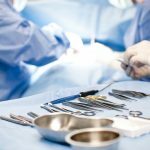 Understanding the surgical process and your role in it will help you recover more quickly and effectively. South Shore Orthopedics offers an educational video library on our website for those interested in learning more about a specific procedure. If you have questions about whether orthopedic surgery may be right for you, or what to expect pre- and post-op, contact South Shore Orthopedics at (781) 337-5555.